This is Part I of a two-part series on Ugandan street children and the work of Good Future and Hope Foundation. “Do not bring anything valuable,” Viera said. “No money, no phones, no watches or jewelry.” I patted my pockets to confirm I had taken everything out. Standing in the hotel courtyard as the Ugandan dusk began to creep overhead, I felt the weighty absence of my wallet and mobile phone. My group stood nervously around as Viera gave instructions, each more ominous than the last. A ubiquitous, burning odor hung in the air, mingling with the smell of garbage and cow manure. Pop music wafted over from the outdoor common area of the compound where local children were dancing on stage for no one in particular. Przemek, a Polish national currently living in Dubai, took a long, last drag of his cigarette before stubbing it out. The Ugandan government estimates that more than 10,000 of the country’s two million orphans live on the streets of Kampala. “How long does it take to get there?” someone asked. “Should I take off my wedding band?” I asked. “Which could be tonight,” Przemek added helpfully. With that, we boarded the van and began our journey to downtown Kampala. In a country of just under 40 million people, UNICEF estimates that Uganda is home to two million orphans, where more than half were orphaned by Africa’s AIDS epidemic. Without homes or parents to feed and care for them, the Ugandan government estimates that more than 10,000 of these children live on the streets of Kampala, the country’s capital. Viera Liebe is the Executive Director of Good Future and Hope Foundation, an organization that focuses on getting orphans off the streets, providing them with warm beds, healthy meals, and an education. 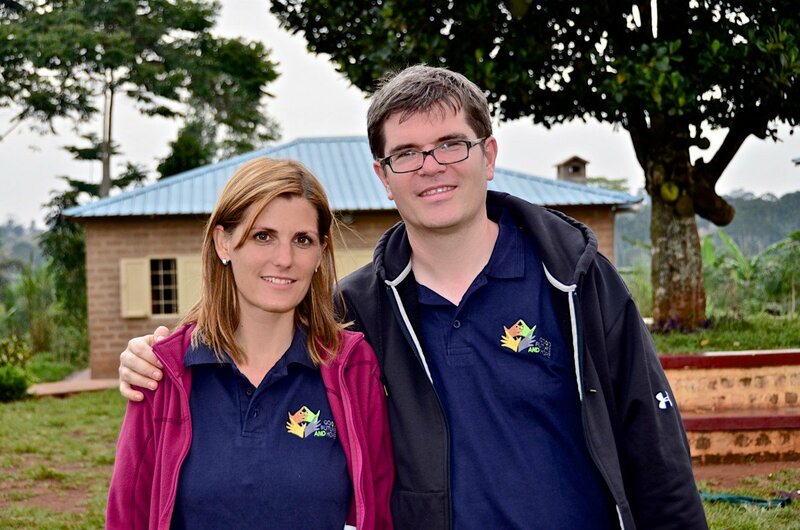 A Slovakian national married to a German, she and her husband Hannes split their time between Dubai, Uganda, and Myanmar, the location of the other orphanage they run. They are making plans to establish orphanages in other countries that cater to street children. I was part of a small group of people who wanted to see the Foundation’s work firsthand and determine how to leverage SAP’s global pro bono programs to further their work. Viera and Hannes started Good Future and Hope Foundation to help Kampala’s orphans get off the street. Located a few hours outside Kampala, the orphanage is a blissful oasis compared to the rough and dusty streets of the capital. Tucked away off a side road, lush vegetation and scattered farm houses line the dirt trail that leads to the still-under-construction entrance gate. As the van pulled up, all of the orphans dressed in their Sunday best greeted us with a chorus of songs, welcoming us into their homes. One bright teenager proudly led us through each of the houses in the compound, showing us where each child sleeps, the cabinets where they keep their clothes, and the common area where they share meals and study. She did not fail to mention that the boys’ living quarters are always messier than the girls’. Each house is equipped with a running toilet and kitchen, and a separate living quarter for the “house mother,” a full-time, live-in adult who looks after the children in each house. Many of the house mothers are widows or single mothers who can bring their own children to live with them in the orphanage in exchange for their work, a model used successfully by other orphanages in the region. They are responsible for the daily upkeep and order of their houses, and they take great pride in their maintenance. None of the children know exactly how old they are, so ages are approximations. The Foundation hosts one big birthday party for all the children in August, where they celebrate with cake and presents. During my visit, I sat with Viera at the dining table in one of the compound’s newer buildings, discussing the orphanage’s origins. I could hear the children running around outside, playing with some of the toys the group had brought. In 2011, rising world food prices and shrinking supply brought severe famine to many countries in East Africa. Like many Europeans, Viera and her husband were blissfully unaware of the crisis. They had been planning a vacation to Israel. Then, a flyer raising money for victims of the famine caught their attention. When they arrived, they visited one of the local organizations attempting to support children in need. Viera continued with her story, the passion and dedication she has for her Foundation and the children they foster apparent in each word. 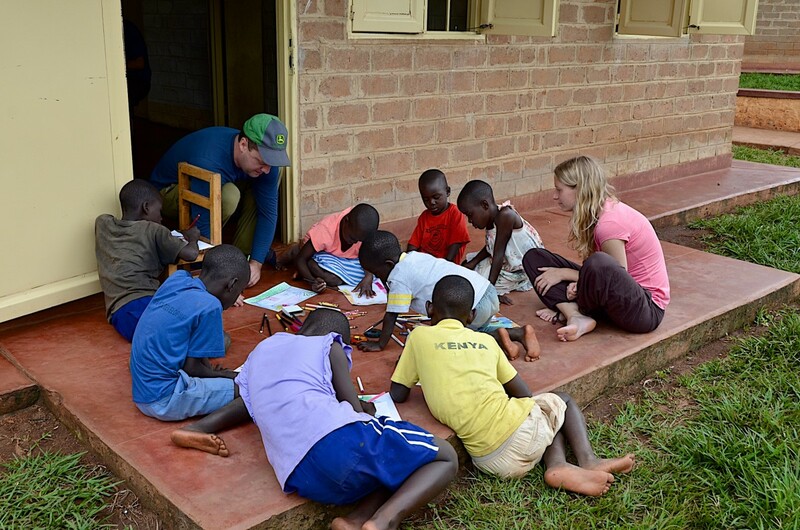 Daniel, a Key Client Manager at PYXERA Global, worked with Good Future and Hope Foundation and the SAP Social Sabbatical team to help better the lives of Ugandan orphans. But Viera wouldn’t have it. “It’s too late,” she said. In that moment, they decided to make the orphaned children of Uganda a cornerstone of their life’s work. They found a local doctor who came to treat the children’s various ailments, and made a deal with the local water company to reconnect the house to the water supply. They went to the local store and bought enough food for three months. They also visited several other orphanages for comparison. To their relief, they were better managed. So they focused their assistance on that one that was most in need. After three weeks, they returned to Europe to determine the path forward. Viera and Hannes knew it would be impossible to continue with their former life. Viera, then a successful management consultant, completed her ongoing projects then let her employees go. She planned to completely dedicate herself to the launch and operation of the Foundation. Hannes began making plans, too. “I sat down with my computer and said, ‘Okay, let’s plan this whole thing out,’” he remembered. He began to speak to colleagues and friends about what they had witnessed in Uganda, and people began to offer financial support for their efforts. In 2012, the couple bought land out in the countryside and started to build proper facilities. Today, the orphanage houses 44 children, with plans to expand its capacity to 360 over the coming years. Stay tuned for Part II of Daniel’s experience helping Viera, Hannes and Good Future and Hope Foundation, along with the SAP Social Sabbatical team, better the lives of Ugandan orphans.